Sergey Lazarev was born on April 1, 1983 in Moscow. From the age six to nine Sergey Lazarev went in for artistic gymnastics. Lazarev began his acting and singing career before the age of 10, singing in the Lokteus Children Choir. At the age of 14, he had already received his first musical award, won several children's song contests, and ended up as a member of child group Neposedi (also members of this group were Vlad Topalov, future colleague of Lazarev, as well as Julia Volkova and Lena Katina of t.A.T.u.). When he was eleven, he sang in the Pokrovskiy Theatre, had parts in many plays. In 1995, at the age of 12, Sergey entered the fidgets band, the same year he won the TV contest of children's gold key. As a part of the fidgets group Sergey took part in famous Russian TV programs and contests, such as "Guess the Tune", "The Morning Star", "The Blue Little Light" and "The Slavic Bazaar". In September 1996 Sergey won the first prize at the contest "Bravo Bravissimo" in Italy. In 2000, Sergey entered Moscow's famous MHAT Theatre School and graduated in 2004 as a professional actor. In 1999 Sergey entered the Russian leading dramatic institute, the school-studio MAAT, and graduated from in with honors in 2003. As a student, Sergey played the main parts in Pushkinskiy Theatre's productions of "Romeo and Juliet", and "Karamazov Brothers". For his role as Romeo, he was nominated for a "Seagull" dramatic debut award for the "Best Love Scene". In 2001 Sergey and Vlad Topalov started the boy band Smash!!. Shortly after they were signed by Universal Music Records in Russia and were one of the biggest Russian pop groups in 2002–2003. The duo had five #1 hits, numerous awards and sold millions of records in Russia, CIS and East Asia (including Hong Kong, Taiwan, Thailand) during their brief career as a group. At the beginning of 2002 the duo shot their first video clip for the song "Should Have Loved You More". That August Smash!! won the 'New Wave' contest in Jūrmala and in October 2002 Smash!! released their first single "Belle" (from "Notre Dame De Paris" musical). The video for "Belle" topped MTV Russia's chart for 6 months and entered the list of top 20 clips of the past five years. In February 2003 the band finally released their debut album, Freeway. Over a million discs were sold in Russia and other nations in the Commonwealth of Independent States. Smash!! subsequently toured Russia throughout 2003.The following year Freeway was released in East Asian countries including; Korea, China, Taiwan, Thailand, Hong Kong, Malaysia, Singapore, Indonesia, India, and the Philippines. The release of the album was followed by the promotional tour in the South-Eastern Asia, during which the band shot a video clip for the cover-version of George Michael's song "Faith" in Shanghai. In May 2004 Smash!! in cooperation with the Italian band Earphones recorded the song "Obsession". When the song entered the radio rotation, it immediately gained the top of hit parades and became the top summer hit 2004. That year Smash!! received the award of the MTV Russian Music Awards (RMA in short) 2004 as the pop-project of the year, and the award of the sound-track as the band of the year. On December 1, 2004 Smash!! released the second album, 2Nite. The band split up only one week after the release, resulting both Sergey Lazarev and Vlad Topalov pursuing solo careers. In 2005 Lazarev returned to the theatre scene. His part in the 2005 Broadway-style musical comedy "Lend Me A Tenor" brought him five professional theater awards, making the play the biggest success of the 2005 theatre season. In 2006 Sergey took part in Russia's "Dancing on Ice", coming in 2nd. Together with British producer Brian Rawling, Sergey recorded most of the songs for his solo debut Don't Be Fake that was released in November 2005 and it sold more than 300,000 copies in Russia alone. In May 2006 Sergey received Russia's national Music TV Channel's MUZ TV award as Best New Act. The fourth single from the album "Fake" was released to clubs in the UK, debuting on July 30 at #28 on the commercial club chart in Music Week. "Don't be Fake"'s first two singles, "Eye Of The Storm" and "Lost Without Your Love", were soon released. The video clips of these singles were shot in Miami and South Africa, respectively. The third single "Daje Esli Ty Uydiosh" ("Just Because You Walk Away" in English) became the biggest single from the album, eventually reaching #2 in the annual airplay chart of most played songs in 2006. Due to the massive popularity of the song, the album was re-issued with bonus tracks. Sergey also performed the song at the MTV Russia Awards. The fourth single, "Fake", was plugged and the video clip was shot in London. Meanwhile the Fake Remixes EP was published. This was also promoted to some clubs in UK. After the success of his first album, Sergey went to the studio and recorded a new Album TV Show The video for the lead single, "Vspominay" was shot in Moscow. The English version of the song, "Everytime", was soon released along with the video clip, this one being similar to the Russian version. Sergey did a cover of "Shattered Dreams", originally sung by Johnny Hates Jazz. This was the second single of the album and the first international single for Sergey. The video clip was said to be shot in Canada. The same year, Sergey won the Best Male Singer singer in RMA 2006, defeating Dima Bilan. Album "TV Show" was published in Europe in 2007. This was a theme-album talking about TV shows and reality by mostly love ballads. "Shattered Dreams" was in this album together with 11 other tracks, including "TV or Radio" his third single and "Girlfriend" his fourth single of this album. His single Shattered Dreams was released in the UK later and currently available on some online music stores.In 2008 he also appeared in the reality "Circus of the Stars" winning the first place for his performance. In 2008 Sergey won MTV's Artist of the Year Award. Consequently releasing the video of the Russian version of the song "Almost Sorry". In 2009 Sergey collaborated with artist Timati and made a video of the song "Lazerboy". In April 2009 Sergey promoted "Stereo", the lead single for his third solo album and sang "Already Know" and "Out of Control". All four songs were expected to appear on his upcoming album, but only "Lazerboy" made the cut. On 31 March 2010 Electric Touch was released in Russian music stores. The video for "Alarm" was released on May 10. In 2012 Sergey returned to "Pushkinsky Theater" to play lead role in "Talents and dead men", based on "Is He Dead?" by M.Twain. In November Sergey was awarded the "Star of theater-goer" for "Best Actor". In April 2014 premierred "The Marriage of Figaro" with Lazarev in lead role. 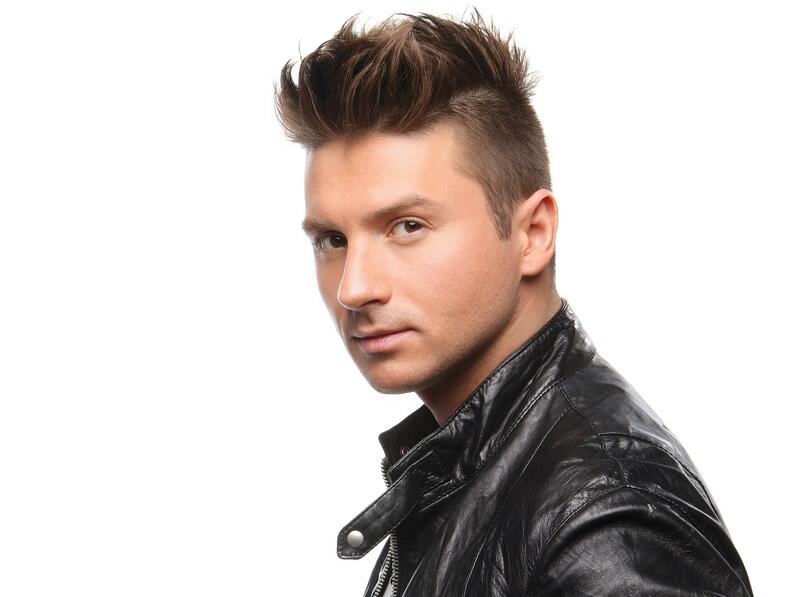 In December 2012 was released the fourth album of Sergey "Lazarev". The album was first released for sale in electronic form for the first time in Russia through iTunes, then appeared on the CD. It soon became the best-selling in Russia and in March 2013 was awareded "Golden Disc". In 2013 channel Muz-TV nominated the album in "Muz-TV Awards 2012" as "Best Album of the Year". In addition, on February 8 was released single "Cure The Thunder", a duet with American rapper T-Pain, and on February 17 was released music video. On 5 December 2013 Sergey releases music video for "V samoye sertse" (In the very heart) - winning song in Russian version of the show "The Hit", for which he was awarded "Golden Grammophone" in November 2014. On 12 March, 2014 year was released music video "Take It Off", and in May the next single in support of the album - "7 Wonders", for which later was presented Russian version "Sem tsifr" and a music video. In December 2014 the musician released a video show, "Lazarev": Live in Moscow, filmed March 30, 2013 in SC "Olympic". For this tour Lazarev won the "Muz-TV" award in the nomination "The best live show of the year." Lazarev was host of the projects "Song of the Year", "New Wave", "Tantsuy!" on Channel One, "Maydans" in Ukraine. Took part in the TV competitions "Ghost of the Opera" and "Universal Artist" on the Channel One. On December 5, 2013 Lazarev released the video "V samoye serdtse" on the winning song of "The Hit" show. In Spring-Summer 2014 he was one of the mentors of Ukrainian version of the show "The Voice", and in Autumn as mentor he assisted composer and manager Konstantin Meladze to collect new Boysband as part of seriality show "Hochu k Meladze", where Lazarev's team became winners of the project and "M-Band" was created. In his 10th, anniversary year of solo career, Lazarev got numerous awards: Best Singer (RU-TV award), "Fashion Singer of the Year" (Fashion People Awards 2015), and music video for "7 tsifr" got Best Music Video award at MUZ-TV awards. This year he had released "THE BEST" album in Russian (1 April) and English (23 October) version, which included in total 45 hits. Sergey is also the voice of some cartoon and movie characters, like prince Arthur from Shrek The Third, Humphrey, the wolf from Alpha and Omega, and Troy Bolton (originally Zak Efron) from Disney's High School Musical. He is also a pet lover. Three years ago Sergey took a dog from a pet shelter and since then he barely separates from him. The dog even inspired him for a small business, The Confectionery for Pets that he founded last year. "I don't feel comfortable talking about myself but I could tell you the three most positive things that colleagues and friends have told me about me. The first is that I always have a positive will towards people, I am a hard worker and finally I am very open minded, never criticising others for their personal choices", he says. Sergey Lazarev has repeatedly been preparing for a participation in the Eurovision Song Contest. Despite the fact that the singer himself almost always publicly denied his interest to take part in the contest, his candidacy has appeared at almost every internal selection, starting from 2003 (in 2003-2004 with Smash! !, from 2006 as solo performer). "We (Smash!!) were promised to be chosen for Eurovision 2003 with "Talk To Me". We've cancelled several concert tours, were preparing - and then it was decided to send t.A.T.u., because then they were at the peak of popularity in Europe ar that atime. In 2004, once again we were ready to go, but the choice of Julia Savicheva became a complete surprise... ",, said Lazarev. In 2007, after the success of Dima Bilan question of participation of Lazarev rose again, however, in spite of the great desire of the artist Channel One put to him a condition - to enter the competition only with the revived duet "Smash!!". In general that would have been logical, as in the year following Bilan it was not reasonable to send same type of the solo singer to the competition, provided also the presence of Dmitry Koldun in the compeitition. However, Lazarev representatives did not agree to undertake such a project and the artist's candidacy has been postponed until better times. In 2008, Lazarev even competed in the national selection final with the song "Flyer" by Swedish authors, finishing fourth. "In 2008, I found a song that I thought would fit Eurovision perfectly. Then I took part in the preselection, but at the end Dima won both it and the Eurovision itself. At that time for myself I have understood that Eurovision is not entirely my thing, and the question of Eurovision for myself was closed forever - or as it seemed so to me. I had my own path, and I wanted to win the love of the audience not with participation in the contest, which makes artists famous in one night, but rather with a long and hard work, and my songs", continues Sergey. In 2008 Lazarev commented the contest live on MTV Russia and in 2010-2013 on "Love Radio". In 2014, Lazarev was collaborating on preparations for the competition with team of Philip Kirkorov and Greek Eurovision specialists. Though participation eventually didn't come to life, but in December 2014 was released his potential ESC entry "Breaking Away", written by Dimitris Kontopoulos. More denials of interest from the side of Lazarev were seen in 2015, before finally on 10 December 2015 during First National Music Award ceremony, broadcasted by Russia 1, Lazarev has been officially confirmed as the Russian entrant for ESC 2016, appointed by Editorial Council of VGTRK(RTR). "You Are The Only One" has been presented by Russia 1 on 5 March. The song is composed by Dimitris Kontopoulos (Belarus 2007, Ukraine 2008, Greece 2009, Azerbaijan 2013, Russia 2014) and Phillip Kirkorov (Russian entrant 1995, songwriter of Belarus 2007, Ukraine 2008 and Russia 2014) with lyrics by Swedish John Ballard and Ralph Charlie (who earlier collaborated on lyrics for Azerbaijan 2013 and Russia 2014). The song was produced and arranged by Dimitris Kontopoulos, mixed by Aris Binis at Vox recording studio Athens and mastered by Sweet spot New York. Music video has been directed by Konstantin Cherepkov and produced by Irina Morozova, and features model Vladislava Evtushenko. You can download single on iTunes. "In my opinion, this song has some incredible magnetism and strength. The first time I heard it, I was struck by the emotional heat, power and its meaning. The song is about love, and message there is a very simple, but very important: each of us is the Only One - is unique and different, and we should remember this"
Sergey Lazarev has spent 4 days at the homeland of the composer and producer Dimitris Kontopoulos and the stage director of his entry Fokas Evangelinos. During his trip Sergey had the opportunity to work on his song in the studio, to make a photo shooting for Greece's leading newspaper “Proto thema” and to perform “You are the only one” during Mad Walk, a fashion project which is considered one of the most prestigious events of the country. Sergey Lazarev performed during the catwalk of the collection of Greece’s super star Despina Vandi, that was also hosting the show. After performance at the party Israel Calling in Tel Aviv, representative of Russia Sergey Lazarev has departed on promotional tour that has covered Malta, Greece and Serbia. The travel to Malta from Israel didn't pass without serious obstacles. "Our plane from Tel Aviv arrived to Vienna with a delay of an hour and we have missed connection flight for Malta! There are no other flights to Malta scheduled there, and today we have planned a promo interview in Malta! Now, to get to Malta, we have to fly back to Düsseldorf, and there after 2.5 hours of waiting to get on the plane to Malta !! So we will arrive to Malta late in the evening! And all the interviews and filming will have to take place at night and at 6 in the morning! As at 9 am we have a flight to Greece !! ", wrote performer in his instagram. It is known that in Malta there was a meeting with the representative of this country Ira Losco, whom Sergey has already met a week ago at the Moscow Eurovision party, as well as several interviews with local media, of which currently is published interview to fan site ESCXtra. Due to the change of the arrival schedule, fan meeting of Ira and Sergey with the fans supposed to take place in the Upper Barrakka Gardens in Valletta was cancelled, but some of the loyal fans greeted the performers at the airport immediately upon the arrival of Russian representative. Staying in the hotel Grand Hotel Excelsior, which was official hotel for Junior Eurovision last year, singer informed his fans in a video message that on the road was also lost his luggage. Already in the morning performer has left for Greece. In Greece, the singer gave a number of interviews, including to newspaper Protothema and site Tralala, worked in the studio with the composer Dimitris Kontopoulos on some material, rehearsed his performance for the music & fashion show MadWalk and left for a day in Serbia. In Serbia performer has scheduled meeting with Serbian representative Sanja Vucic as well as broadcasts both on state TV channel RTS and on commercial broadcaster PRVA. After that Sergey will be returning to Athens. Sergey Lazarev's concert in St.Petersburg has been cancelled and postponed till June after singer has fainted on stage during the performance. He was examined by doctors who came to conclusion hospitalization is not necessary but advised not to resume the show tonight. Sergey has been on the extensive local tour, that includes almost 50 appearances in the span of 3 months. He is scheduled to make his first foreign promotional appearances in the next few days: performing in Tallinn, Estonia and attending Israel Calling party in Tel-Aviv. As part of the promotional tour on 18 April representative of Russia Sergey Lazarev will visit capital of Greece Athens. Among other scheduled events in Greece, Russian entrant will take part in the promo-party, organized by Oikotimes website and Antivirus Magazine. Time and location: 18:30, Antivirus Magazine premises. Party will also be attended by Eurovision 2005 winner Helena Paparizou. Those, who is interested to attend the event, may apply for the free of charge invitation here. 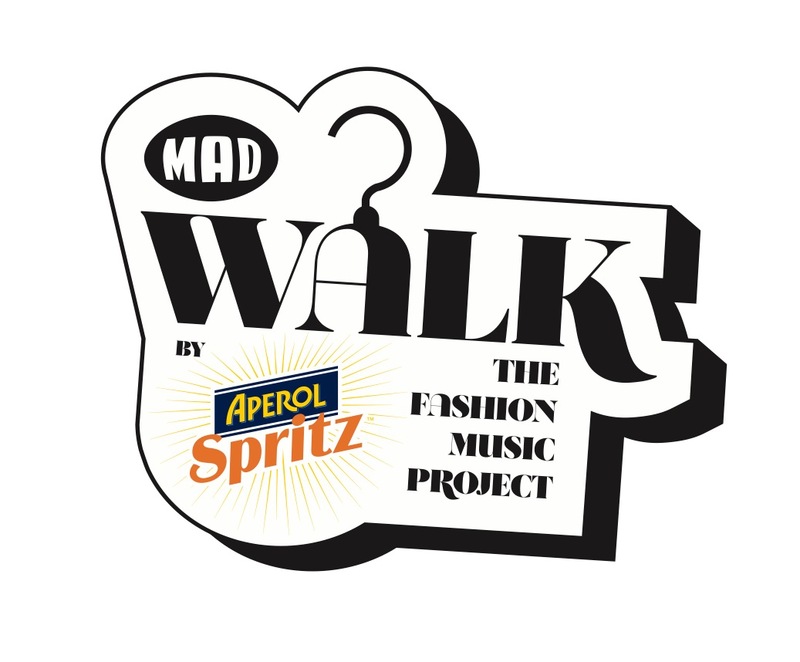 Also, on the same day, singer will perform at the Music & Fashion show of MAD TV MadWalk 2016. Show is hosted by Despina Vandi. Time and location: 21:00, Apothekes Bitrou. Tickets for the event can be purchased here. Russian Eurovision Song Contest 2016 entry "You Are The Only One" has been presented today for the first time in the Television broadcast - in the show of Russia 1 channel "Dancing with Stars". Yesterday in Kursk on his solo concert, Sergey has presented for the first time live his contest entry for Eurovision 2016 - You are the only one. The long-awaited premiere of the music video for the song of Sergey Lazarev "You are the only one", with which in May he will represent Russia at "Eurovision-2016" was held today at the Russia 1 TV channel. We remind that the artist was chosen for the competition by the editorial board of "Russia 1" TV channel, which will also broadcast the contest. "I really hope for the objective judgement, for the fact that an artist of this level, as is Sergey Lazarev, once again will be able to prove that there are a big younger generation of talented artists in Russia and that they are competitive on the European level. At the level of such the European Forum, these artists can adequately represent not only their country, but also music in general,", - said manager of the Russian team at Eurovision 2016 Philip Kirkorov.
. According to Sergey Lazarev, there should be no parallels drawn between the music video and the possible way the song will be presented on the stage - these are the two totally different shows on the one song. Sergey Lazarev has released teaser for his upcoming music video. The teaser features Miss Universe Russia 2015 Vladislava Evtushenko and word "One". We remind you that presentation of song and official music video of Sergey Lazarev will take place on 5 March in "Vesti v subbotu" program with Sergey Brilyov, which is aired at 18:00-19:00 CET in Moscow version of TV channel Russia 1. In other Russian regional versions of the channel there will be only announcement, while the presentation itself can be seen in those regions online on Russia.tv and Vesti.ru website. Soon we will find out if Sergey Lazarev was that only one Ivan Mikulić was singing about as well as if there were any Eurovision related clues in David Bowie's last video for Lazarus, while on the question if Sergey is able to repeat success of Helena Paparizou and become The Only One, who will win Eurovision Song Contest we will get a definitive answer on the evening of 14 May. 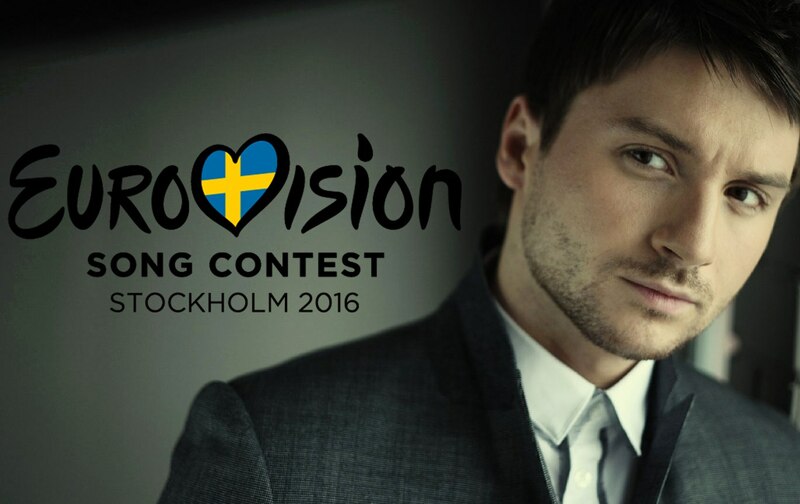 Sergey Lazarev has revealed his completely Swedish stage team for Eurovision Song Contest 2016. It includes: backing singer Jennie Jahns (Azerbaijan 2013-2014), singer and dancer Alvaro Estrella (Sweden 2011, Azerbaijan 2013), backing singer Johan D. Seil and dancers Daniel Gill (Sweden 2011) and Adam Svensson. They are supported by Greek choreographer Marcus Giakoumoglou. Out of stage performer is supported by 'Dream Team" of songwriters Dimitris Kontopouls and Philipp Kirkorov, stage director Fokas Evaggelinos, vocal coach Alex Panayi, manager Ilias Kokotos, as well as team of broadcaster Russia 1 lead by Gennadiy Gokhshtein and own team of Sergey Lazarev lead by director Mikhail Dvoretskiy. We remind that presentation of the song and music video of the performance will take place on Russia 1 in "Vesti v subbotu" (aired at 18:00-19:00 CET). Presentation of the official music video for Sergey Lazarev's Eurovision entry has been delayed until 5 March. It is scheduled to take place in "Vesti v subbotu" program at 19:00 CET. It is still possible, though, that audio version of the song will be presented, as announced earlier, on 3 March. We will try to keep you updated. Sergey Lazarev will present his contest entry on 3 March. It is expected that the song will be revealed alongside the music video during the evening news broadcast. It is interesting that similarly with the day when Lazarev was officially confirmed as the entrant, he will be away at his tour, having a concert in Chelyabinsk. Greek composer Dimitris Kontopoulos, whose song is currently considered frontrunner to be performed by the Russian representative Sergey Lazarev at the Eurovision 2016, gave interview to Spanish fan club OGAE Spain. "Participation in both Eurovision or the national final is always an exciting and unique experience. The feeling is always the same: emotions. I enjoy every moment of it, from recording the song, rehearsals, until the gala. Each of the songs I've written for this event is unique to me and it would be unfair to say which one is my favorite", says the composer. We remind that Dimitris has worked with the songs of Dmitry Koldun (2007), Ani Lorak (2008), Sakis Rouvas (2009), Farid Mammadov (2013), Tolmachevy Sisters (2014), made arrangement for Litesound (2012) and Mikhail Smirnov (Junior Eurovision 2015) and also penned national final entries of Anastasiya Stotskaya (2005), Anna Vissi (2006) and Kostas Martakis (2008). "Most difficult for us was the work on Russian 2014 entry "Shine". 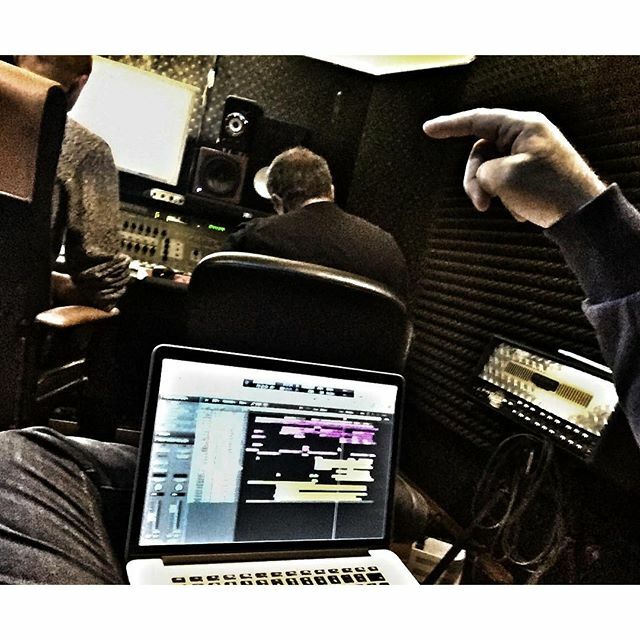 We had only 48 hours to do it; record instruments and vocals, do mixing and production parts. And all that with two girls who were not singing in their native language and did not know the song well. In all this the only positive side was that both of them are very good singers". At this moment Kontopoulos is in Moscow, where the work is underway on the potential entry of Sergey Lazarev. This is not his first work with Sergey as in 2014 Greek team has prepared for Lazarev song "Breaking Away". "Sergey Lazarev has something that very few artists have: he both is a great singer and can do a very good performance on stage. I think the song will help to show the audience both his qualities. He is very hardworking artist, a powerful singer and am very happy that finally has decided to participate in the Eurovision Song Contest". Is composer planning this time to run for the first place in the competition? "I participated 5 times; I have twice finished in 2nd place, was on 6th and 7th position, but every time I felt as if I had won. The victory at a festival is not always the first position. The victory is the experience of meeting new people, is the creative part, recording of the song, rehearsals... To me victory in the Eurovision is the participation and not a place". With a great interest we keep monitoring official statements made by the organizers of the Russian national selection for the Eurovision Song Contest. In today's publication of official governmental paper "Rossiyskaya Gazeta" theory of the song selection again swung in the opposite direction: "The decision that Sergey Lazarev will represent Russia in the largest song contest of Europe is the final one. However, the song which Lazarev will be performing in Sweden is yet to be determined". "We've announced the name of the Russian participant of Eurovision earlier than most of other countries on purpose. Usually we were doing this at the very last moment... but this year we giving him more time to prepare. The only thing precisely certain is that the song for Eurovision will be sung in English, since it is the international language, widely understood in most of the European countries...", - added represenatives of the Organizing Committee. In the publication it is also reported that Sergei Lazarev was invited to appear in a different promotional pre-parties of Eurovision in other countries, in particularly in Riga, but so far it is unlikely there will be a foreign promotional tour for the Russian entrant - the schedule of Sergey already includes a growing list of solo concerts in the different cities of Russia. Eventually, Sergey Lazarev will perform at the Eurovision 2016 song written by Philip Kirkorov and Dimitris Kontopoulos. After numerous discussions, with conflicting reports in the media, tonight editorial board of VGTRK has managed to make a decision with which song Sergey Lazarev will participate at the Eurovision 2016. We remind that earlier today the Chief producer of the Entertainment department of channel "Russia" Gennady Gokhshtein stated that the broadcaster will consider several options of the potential contest entries. "In fact, we were making a choice from a variety of songs. As a result, we ended our choice on the song written by Philip Kirkorov", - informed TASS agency producer of TV channel "Russia". No additional information on the contest entry was reported officially. It is expected that the song itself will be presented by the end of the year or very early in the new year. In an interview to the news program Vesti Sergey Lazarev did not disclose the details of the upcoming performance just stating: "In the preparation of stage performance will be involved a very big team - that includes Philip Kirkorov and his Greek friends, songwriters of the entry, and certainly TV channel "Russia". The "Dream Team" of Philipp Kirkorov also includes Greek composer and arranger Dimitris Kontopoulos, stage director and choreographer Fokas Evaggelinos, vocal coach Alex Panayi as well as manager Ilias Kokotos who had worked with numerous Eurovision entries of Greece, Cyprus, Russia, Belarus, Azerbaijan, Ukraine and other countries in the past. They all will contribute to Sergey's performance in Stockholm. "We will be helping him in everything, to ensure he has a good song, good arrangement, good staging, and everything related", explained Kirkorov. The lyrics for the song, which is yet untitled, are being written by lyricists from Sweden (possibly same John Ballard and Ralph Charlie who collaborated on lyrics for "Shine" of Tolmachevys and "Hold Me" of Mammadov), Greece and Russia. "We're working on the final version of the track considering the difficult task, final variant should not be longer than 3 minutes. It is important that for Russia we will record Russian language version of the song. Even though Russians can not vote for their own entry and Russian performer, the version in Russian is really necessary. Then this song will be performed in Russian in the large pan-Russia tour that Sergey Lazarev is planning for April and May 2016", Philipp Kirkorov told to Vesti. In his interview to STARpertsy Philipp Kirkorov found it difficult to answer the question if Sergey Lazarev's song will be ballad or uptempo. "It is in style of Sergey Lazarev. It is still in works, there's still a long process before we reach the final result, because we still need to compose the music, to film the music video...", responded Kirkorov. The decision to select Sergey Lazarev for the participation in the Eurovision Song Contest has been taken by Editorial Council of VGTRK (RTR). "We have carefully considered several aspects and came to the conclusion that Sergey can be entrusted to handle such a mission. He is great, popular vocalist", stated Head Producer of the Entertainment Department of "Russia" TV channel Gennadiy Gokhshtein. "We're still choosing the appropriate song, we have several options to select from. One of them indeed is a song by Philipp Kirkorov. At the end song should both fit all the requirements of the contest, but as well fit the performer himself. We have several good songs, but we need to see if they fit the artist", explained Gokhshtein, denying the ongoing rumours that the song has been already chosen. According to his words, as published by TASS agency, as soon as song is selected officially, it will be presented to the audience - Lazarev will premiere it at one of his concerts, and music video will be filmed as well. In his earlier published in the newspaper MK article music critic Artur Gasparyan suggested that there could be several songwriting teams trying to get the right to provide a song for Lazarev, including teams of Kirkorov, as well as other Russian and Swedish songwriters. "There is no song yet though. But it seems it is being actively searched for. There is sort of secret tender, in which allegedly are racing at least Vladimir Matetskiy and Philipp Kirkorov, and at most also Maxim Fadeev and Konstantin Meladze"
His own version of the events Philipp Kirkorov has described in the interview to a tabloid website super.ru. "I just want to emphasize I am not a manager of Sergey Lazarev, I'm his friend. In this situation, I am speaking as someone who has extensive experience in this contest. And I'm glad to pass it to others, what I was doing for last ten years, being involved in the preparation of many artists to the competition. Now I made this decision because of the invitation from RTR and the Head Producer of the Entertainment department Gennady Gokhshtein, who has united me and Sergey in this project. I know Sergey Lazarev for 15 years, I care about his creative life. He is a self-sufficient unit, an Artist with a capital letter. For the long time Sergey has been asked to take part in this contest, but he always rejected the proposal. All this was happening until he heard a song, which he was offered to perform this year. Maybe that's why today I'm so happy for him and wish him strength and inspiration required to conquer the height called "Eurovision-2016" in Stockholm". "Lazarev, in my opinion, today - is the only decent artist who can represent our country on the highest level. My team from the like-minded friendly and beloved Greece and RTR have faith in this artist. It is a great responsibility and as this contest is watched by the whole country it is a serious challenge. But he's strong, he has already passed the fire, and water, and brass pipes, and never got "star syndrome", so I am sure in him for all one hundred percent, as in my own self. He is workaholic and we have something similar in relation to the music, life and profession. I am sure that he will not let our country, fans and people who believe in him down"
"About the song itself there is nothing to tell yet, everything is in the process and it's only the beginning. I can only promise that we will make every effort to produce a very high-quality product of the European level. I think that by the New Year the track will be completed, and then will have the work on the stage performance. In April, I plan to go on tour, but as we were preparing to advance this project, we've emptied in May the first two weeks to devote to Eurovision and I will go on a two-week business trip to Stockholm. And there I would turn from being the singer to the role of a manager and a member of the team that will support Sergey at the Eurovision". Super.ru also provides text commentary of the Lazarev himself: "I had already fully scheduled out a year with concerts and had no thoughts about Eurovision, as I never had in previous years when I was actively invited to go to the contest. Of course, one of the first who always asked me to do it was Philipp. But I always refused to participate. This year, when I learned that the channel Russia considers me as the main contender for the role, Philipp told me: "Come on, do it this year. You have already achieved heights in this country and you should be now seen abroad". To this I replied that the main thing is the song, and it should be 100%, so that I fell in love with it, believed in it. Philipp said that he and the Greek team with which I have recorded a few songs before, has prepared such song. And he persuaded me to listen to it. When I heard it, I realized that this is the song that I'm ready to go with. I did not give the answer right there and said that I would think of it. On the road back home the song still sounded in my head, as well as the idea that the year is successful and the team is good, and most importantly - the song is too. I decided to trust in them and take part. I understand the whole responsibility and with great pride and honour will represent my country. For me now the paramount is to represent our country with dignity and make Russia proud. While there still is more than half a year before the contest, we are still finalizing a song. The final version we will introduce in the next year. At the beginning of the year, I will start rehearsals, and now we are discussing details of the stage performance. Song brings a very powerful message, and we will do everything possible to maximize its impact on the stage, to make it sound great. The work will be enormous ". Today, at 21:00 local time, Russia 1 channel will broadcast TV version of the First National Awards ceremony, where Sergey Lazarev won the prize as "Male Artist of the Year". At the same category at the very last moment, Philipp Kirkorov has withdrawn his nomination. During the show, in the absence of Lazarev himself, as he was giving a concert in the town of Izhevsk at the same night, was made the official statement in regards to the Eurovision Song Contest. We remind that yesterday, ESCKAZ was the first to break the news about the decision to the fans and followers of the contest. Sergey Lazarev is currently on his Russian tour, which will cover at least 16 more towns: Perm, Ryazan, Krasnoyarsk, Novosibirsk, Barnaul, Ekaterinburg, Chelyabinsk, Voronezh, Noviy Urengoy, Khanty-Mansiysk, Surgut, Nizhnevartovsk, Bryansk, Kovrov, Vladimir and ending on 23 April 2016 in Tula. In January-February he will also be appearing on Moscow theater stage in "The Marriage of Figaro" and "Talents and dead men". He is also set to give appearances in Moscow and St.Petersburg on various joint concerts. So far the only international date in the calendar is the solo concert in Tallinn on 10 April. Sergey Lazarev will represent Russia at the Eurovision Song Contest 2016, as was revealed during the First National Music Awards Ceremony today in Crocus City Hall, Moscow. Sergey became winner of the "Performer of the Year award". Despite he was absent at the event as he had a concert in Izhevsk on the same day, he has recorded video message. The ceremony will be broadcasted tomorrow on Russia 1 channel at 21.00 local time. It is the earliest by far date of announcement of Russian entrant, in previous years only twice representative of the country at the contest became known before March, and the earliest revelation date was 19 February (in 2013). It is worth noting that despite different statements in the press that singer enters Eurovision with the song written by Philip Kirkorov and Dimitris Kontopoulos - at this moment the entry is not yet confirmed officially and several options are still on the table. On 16 November in Four Seasons Moscow Hotel took place presentation of the new music video of Philipp Kirkorov for the song "Indigo" starring Viktoriya Lopyryova. Party was attended by practically complete 'Beau Monde' of Russian capital. During introduction of his friend, Greek composer Dimitris Kontopulos (who usually collaborates with Kirkorov on Eurovision and other projects) Philipp Kirkorov has stated the following: "I'm really happy to welcome here today with me my dear friend and colleague Dimitris Kontopoulos. Dimitris is a great composer and musician, who has been working on many Eurovision entries of the past. May I now tell you a small secret: together with him we will be preparing new participant on Eurovision, and this work has already been started". 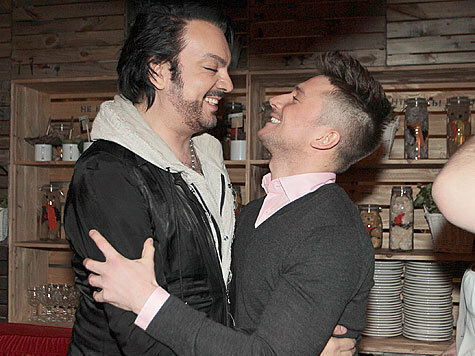 On the question of the party host Ivan Urgant (ESC 2009 host) if the said performer is present here, Philipp Kirkorov confirmed it is so, without revealing the name. None of the guests have admitted involvement as well. Among guests of the event were: Grigoriy Leps, Emin, Iosif and Nelly Kobzon, Polina Gagarina, Sergey Lazarev, Anzhelika Agurbash, Lyubov Uspenskaya, Alsou, Oleg Gazmanow with wife, Mitya Fomin, Alexander Buynov, Denis Klyaver, Dmitry and Inna Malikov, Yulia Savicheva, Iosif Prigozhin and Valeriya, Lev Leschenko, Arkadiy Ukupnik, Slava, Olga Seryabkina, Boris Moiseev, father of Philipp Bedros Kirkorov and many others. 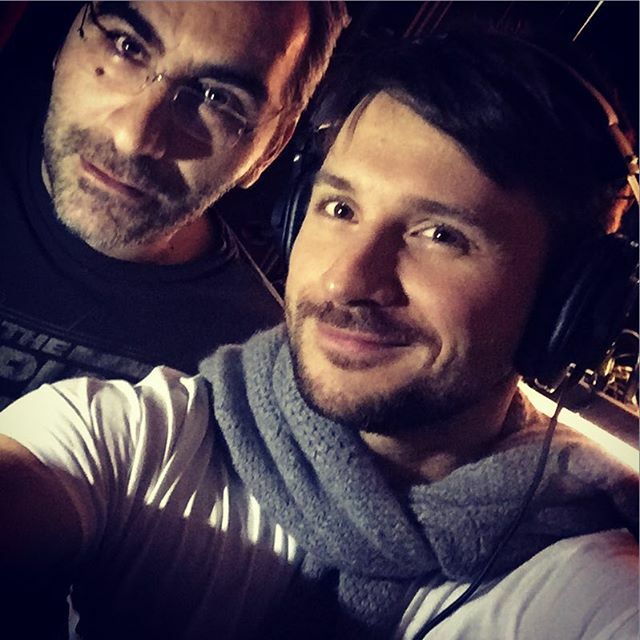 After presentation Dimitris Kontopoulos has remained in Moscow, and it became known that among other things such as attending concert of Sergey Lazarev, he took part in the recording of a new track in "Vi-studio", where also took place recording of the Eurovision entry of Tolmachevy sisters. The team was joined in Moscow by vocal coach Alex Panayi and producer Ilias Kokotos. In Summer website Super.ru has reported that Philipp Kirkorov has proposed his help in preparations to the Eurovision Song Contest to Russian singer Nyusha. "Yes, we have indeed discussed with Philipp possibility of my participation. He has proposed his assistance, as he has a big experience in it and can give a number of valid advices. But, to be honest, this all depends on stars... In my life I had already so many contests, and having survived them, I was glad to be doing my favourite job, hoping there are no more contests coming in my life. There are singers, who are powered by their ambitions. But I'm already happy with the atmosphere surrounding me. I'm not sure I would like to compete again. Also for Eurovision one needs a special song and stage presentation. It is pretty impossible to calculate it through. One thing could be if I wrote myself a song and realized I want to enter it. But if it will be like specially sitting down and writing the song for the Eurovision, or performing song written by someone else - I have big doubts that will work...", commented the singer. Perhaps it is worth noting that she did not attend presentation of Philipp Kirkorov's music video. We can remind you, that already last year Philipp Kirkorov and Dimitris Kontopoulos have been proposing joint project for the Eurovision participation to Polina Gagarina, but in the end Channel One has picked a song written by Swedish songwriters. Two years ago, same team, known as "Dream Team" was working on the preparations to the contest of Sergey Lazarev, but at the final moment his candidacy was replaced by Tolmachevy Sisters, with whom continued working Philipp Kirkporov and Dimitris Kontopoulos. 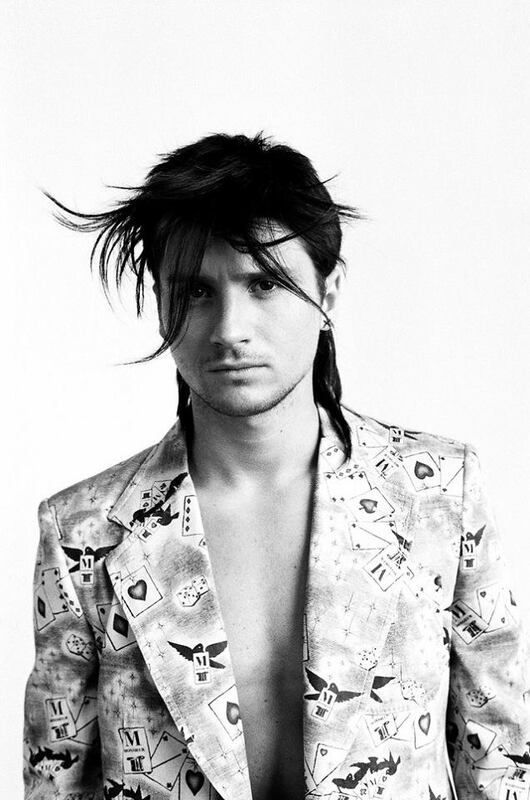 In December 2014 Lazarev has released "Breaking Away", written by Kontopoulos. In Autumn Greek-Russian team has assisted Russian Junior Eurovision entrant Mikhail Smirnov, Kontopoulos made a new arrangement for his song, and stage director Fokas Evaggelinos has helped with stage presentation. After two years of collaborations with Russian broadcaster VGTRC on Eurovision projects, it would not be surprising if Kirkorov once again is involved in preparations to the Eurovision. It seems the team is currently working on the project, or even projects that can be proposed for the consideration of Russian broadcaster and attempts to promote their bid through fan media of the contest. New theory in his publication dated November 26 was suggested by Artur Gasparyan, music critic. According to him, Sergey Lazarev could have been already selected internally, as was Polina Gagarina, but at the same time there could be several songwriting teams trying to get the right to provide a song for him, including teams of Kirkorov, as well as other Russian and Swedish songwriters. "Persons, who have the access to the offices of the management, all say that the decision to appoint Lazarev (as Russian representative) was "already taken", but that sensitive information is not allowed yet to be released. There is no song yet though. But it seems it is being actively searched for. There is sort of secret tender, in which allegedly are racing at least Vladimir Matetskiy and Philipp Kirkorov, and at most also Maxim Fadeev and Konstantin Meladze"
Сергей Лазарев родился 1 апреля 1983 года в Москве. С 4 лет занимался спортивной гимнастикой, участвуя и побеждая в соревнованиях. Любовь к музыке, мечта о большой сцене и травмы оказались сильнее, и Сергей постепенно ушёл из спорта и продолжил занятия в различных детских ансамблях. С 9 до 11 лет Сергей пел в ансамбле имени Владимира Локтева вместе с братом Павлом. В это же время он играл в театре Бориса Покровского. В 1995 году Сергей стал одним из участников детского ансамбля "Непоседы" (в котором пели также Влад Топалов, и солистки группы "Тату" Юлия Волкова и Лена Катина). В составе "Непосед" Сергей принимал участие в известных телевизионных программах и фестивалях. В том же году он снялся в телевизионном юмористическом журнале "Ералаш". В 2001 году Сергей совместно со своим давним коллегой Владом Топаловым, стал участником музыкального проекта "Smash!!". На первых порах менеджментом дуэта занимался Саймон Нейпер-Белл, который в прошлом был менеджером Wham!. В августе 2002 года ребята победили в конкурсе "Новая волна" в Юрмале. Первый клип дуэта на песню "Belle" (из мюзикла "Нотр-Дам Де Пари") продержался на верхних строчках чартов MTV в течение полугода.В феврале вышел долгожданный дебютный альбом группы «Freeway», который почти мгновенно приобрел статус золотого. 5 композиций из первого альбома занимали высшие места хит-парадов, а диски группы распродавались миллионными тиражами на территории России, стран СНГ и Юго-Восточной Азии. 1 декабря 2004 года вышел второй и последний альбом группы "Smash!! ", "2nite", а уже в конце года Сергей покинул группу и начал сольную карьеру. Певец подписал контракт со звукозаписывающей компанией Стиль Рекордс, и сам занялся поиском и записью материала. В 1999 году Сергей стал студентом театрального вуза — Школы-студии МХАТ, а в 2003 окончил его. Несмотря на огромную занятость в группе, Сергей нашёл время, чтобы сыграть в спектакле "Ромео и Джульетта" театра им. А. С. Пушкина, где ему досталась главная мужская роль. В 2003 году он исполнил роль Алёши Карамазова в спектакле "Несколько дней из жизни Алёши Карамазова" в МХАТе им. А. П. Чехова. В 2005 году он вернулся в родной Пушкинский театр для участия в спектакле "Одолжите тенора!". В конце 2005 года экспертный совет престижной театральной премии "Чайка" отметил его игру сразу двумя статуэтками — в номинациях "Прорыв года" и "Лучшая любовная сцена". Лазарев также получил премию фонда О.Табакова за роль в "Одолжите тенора". В июне 2006 года получил премию Хрустальная Турандот в номинации "Лучший актерский дебют 2005—2006". 1 декабря 2005 года вышел дебютный альбом Сергея, получивший название "Don't Be Fake", который разошелся по России тиражом более чем 200 000 копий. В его состав вошли 12 композиций, записанных в Лондоне, 8 из них Сергей записал в сотрудничестве с продюсером Брайаном Роулингом. С начала 2006 года в эфире российских радиостанций появилась первая русскоязычная композиция Лазарева — баллада "Даже если ты уйдёшь". В 2006 году Сергей завоевал титул "Лучший певец года" MTV-Россия и "Прорыв года" премии МУЗ-ТВ. В мае 2007 года вышел второй альбом Сергея Лазарева под названием "TV Show", на пять песен которого были сняты видеоклипы. Сергей записал русскоязычную версию баллады "Almost sorry", получившую название "Зачем придумали любовь". В 2007 году Лазарев стал победителем первого сезона телевизионного конкурса "Цирк со звёздами". Также участвовал в проекте "Танцы на льду", где занял второе место. Сергей принял участие в озвучивании фильмов серии "Классный мюзикл" ("High School Musical"). В 2008 году и первой половине 2009 года Сергей получает самые престижные музыкальные премии России – MTV "Лучший артист года", МУЗ-ТВ "Лучший исполнитель года", радиопремию Попова "Бог эфира", ZD AWARDS – "Лучший Исполнитель". В марте 2010 года Сергей Лазарев заключил контракт с музыкальной компанией Sony Music Entertainment. 31 марта того же года состоялся релиз нового альбома Сергея Лазарева "Electric Touch". В июне 2011 альбом получил "золотой" статус по продажам, а также победил в номинации "Лучший альбом" на премии Муз-тв 2011. В феврале 2012 года Сергей Лазарев спел с Тимати "Moscow to California", на которую был выпущен клип и был выпущен клип. Съёмки клипа проходили в Москве и Майами. В том же году в Пушкинском театре состоялась премьера спектакля "Таланты и покойники" (по пьесе Марка Твена), в котором Лазарев исполнил главную роль. В ноябре Сергей был награжден премией "Звезда театрала" за "Лучшую мужскую роль". В апреле 2014 года в этом же театре прошла премьера спектакля "Женитьба Фигаро" с Лазаревым в главной роли. В декабре 2012 год вышел четвёртый альбом Сергея "Лазарев.". Альбом был сначала выпущен для продажи в электронном виде впервые в России через iTunes, затем появился на дисках. Вскоре он стал самым продаваемым в России и уже в марте 2013 года стал "золотым". В 2013 году канал Муз-ТВ выдвинул альбом "Лазарев." на "Премию Муз-ТВ - 2012" в номинации "Лучший альбом года". Кроме того, 8 февраля был выпущен сингл "Cure The Thunder", ставший дуэтом с американским рэпером T-Pain, а 17 февраля вышел клип. 5 декабря 2013 год вышел клип "В самое сердце" на песню-победителя в проекте "Хит" (The Hit), за которую в ноябре 2014г получил премию "Русского радио" "Золотой граммофон". 12 марта 2014 года год вышел клип "Take It Off", а в мае очередным синглом в поддержку альбома стал трек "7 Wonders", на который позднее была представлена и русская версия "7 цифр" и видеоклип. В декабре 2014 года музыкант выпустил видеоальбом Шоу "Лазарев": Live in Moscow, снятое 30 марта 2013 года в СК "Олимпийский". С этим туром Лазарев стал обладателем премии "Муз-ТВ" в номинации "Лучшее концертное шоу года". Являлся ведущим проектов "Песня года", "Новая Волна", "Танцуй!" на Первом Канале, "Майданс" в Украине. Участником проектов "Призрак Оперы" и "Универсальный Артист" на Первом канале. С марта по июнь 2014г Сергей был наставником в украинской версии вокального шоу «Голос страны», а осенью 2014 Сергей, как тренер и член жюри, помогал композитору и продюсеру Константину Меладзе набрать новый бойз-бенд в международном сериалити "Хочу к Меладзе" и привел свою команду к победе. В юбилейный, 10-й год сольного творчества Сергей Лазарев был отмечен многочисленными наградами: "Лучший певец" (Премия Ru-TV), "Fashion Певец Года"(премия "Fashion People Awards – 2015"), а клип "7 цифр"взял тарелочку как "Лучшее мужское видео" на Премии Муз-ТВ. В этом же году певец выпустил альбом "THE BEST" в Русской (1 апреля) и Английской (23 октября) версиях, в который в общей сложности вошли 45 хитов. Сергей Лазарев также является голосом некоторых мультипликационных и киноперсонажей, например принца Артура из третьего Шрека, Хамфри, волка из Альфа и Омега, и Троя Болтона из High School Musical Диснея. Также он - большой любитель животных. Три года назад Сергей взял себе собаку из приюта для домашних животных и с тех пор он почти не разделим с нею. Дейзи даже вдохновила его на открытие бизнеса, кондитерской для домашних животных "Пудель-штрудель", которую он основал в прошлом году. "Я не очень комфортно чувствую себя рассказывая о самом себе, но я могу сказать, какими положительными качествами меня характеризуют мои коллеги и друзья. Прежде всего, я очень позитивно настроен по отношению ко всем людям, я очень старательно работаю, и, наконец, я никогда не критикую других за их личный выбор, в этом плане я очень непредубежден". Сергей Лазарев уже неоднократно готовился к поездке на Евровидение. Несмотря на то, что публично исполнитель почти всегда отвергал свой интерес к конкурсу, его кандидатура рассматривалась практически на каждом внутреннем отборе, начиная с 2003 года (в 2003-2004 со Smash! !, а с 2006 как сольного исполнителя). "Обещали, что мы (Smash!!) поедем на Евровидение в 2003 году с "Talk To Me". Мы отменили несколько гастрольных туров, настроились — потом было решено отправить t.A.T.u., ведь тогда они находились на пике популярности в Европе. В 2004 году снова готовились, но выбор Юлии Савичева стал полной неожиданностью...", рассказывал Лазарев. В 2007 году после успеха Димы Билана вопрос об участии Лазарева поднялся вновь, однако, несмотря на огромное желание самого исполнителя Первым Каналом ему ставится условие - выступать только в составе возрожденного дуэта "Smash!!" c Владом Топаловым. Что в общем-то было логично, на следующий год после Билана отправлять однотипного соло исполнителя, да еще и при наличии Дмитрия Колдуна в этом же конкурсе было явно не с руки. Увы, представители Лазарева не дали согласия на такой проект и кандидатура исполнителя была отложена до лучших времен. В 2008 году Лазарев выступил на национальном отборочном шоу с песней "Flyer" шведских авторов, заняв четвертое место. "В 2008-м году, я нашел песню, которая, как мне казалось, могла бы прозвучать. Тогда я участвовал в в конкурсном отборе, и в тот год поехал как раз Дима и выиграл. Тогда я для себя понял, что Евровидение все-таки не совсем мое, и этот вопрос для себя навсегда закрыл – как мне казалось. У меня была своя стезя, и я хотел завоевать любовь зрителя не участием в конкурсе, которое в одночасье делает тебя знаменитым, а долгим и упорным трудом и песнями", продолжает Сергей. В 2008 году Лазарев комментировал конкурс в прямом эфире MTV Россия, а в 2010-2013 годах на "Love Radio". В 2014 году подготовкой певца к Евровидению занимался продюсер Филипп Киркоров с командой греческих специалистов. Данному участию не суждено было реализоваться, но в декабре в свет вышла потенциальная конкурсная композиция Лазарева "Breaking Away", написанная Димитрисом Контопулосом. После очередных отрицаний интереса к участию в конкурсе, наконец, 10 декабря 2015 года во время церемонии Первой Национальной Музыкальной Премии, транслируемой каналом Россия-1, Лазарев был официально объявлен представителем России на Евровидении 2016, выбранным редакторским советом ВГТРК. Песня "You Are The Only One" была представлена телеканалом Россия 1 5го марта. Авторами музыки композиции являются греческий композитор Димитрис Контопулос (Беларусь 2007, Украина 2008, Греция 2009, Азербайджан 2013, Россия 2014) и Филипп Киркоров (представитель России на Евровидении 1995, автор песен Беларуси 2007, Украины 2008 и России 2014). Текст написали шведы Джон Баллард и Ральф Чарли (ранее работавшие над текстами Азербайджана 2013 и России 2014). Песня была спродюсирована и аранжирована Димитрисом Контопулосом, микширование - Арис Бинис в студии Vox Recording, Афины, Греция, мастеринг в Sweet Spot, Нью-Йорк, США. Режиссером видеоклипа стал Константин Черепков, продюсер Ирина Морозова, SEVER Production Co., в клипе снялась модель Владислава Евтушенко. Скачать сингл на iTunes. "На мой взгляд, эта песня обладает каким-то невероятным магнетизмом и силой. Первый раз услышав ее, я был поражен эмоциональным накалом, мощью и ее смыслом. Песня о любви, а посыл там очень простой, но очень важный: каждый из нас the Only One — уникален и неповторим, и мы должны об этом помнить"
Сергей Лазарев провел 4 дня на родине композитора и продюсера Димитриса Контопулоса и режиссера его номера Фокаса Евангелиноса. За время своей поездки Сергей имел возможность поработать в студии над своей песней, сняться в фотосессии для популярной греческой газеты "Proto thema" и исполнить песню "You Are The Only One" во время Mad Walk - проекта, объединяющего моду и музыку, считающегося одним из самых престижных мероприятий страны. Сергей Лазарев выступил во время презентации коллекции греческой суперзвезды Деспины Ванди, которая также была ведущей шоу. После выступления на вечеринке Israel Calling в Тель-Авиве, представитель России Сергей Лазарев отправился в промо-тур, который на данный момент включил в себя Мальту, Грецию и Сербию. Поездка на Мальту сопровождалась значительными трудностями при перелете. "Наш Самолет из Тель-Авива прилетел в Вену с опозданием на целый час и мы не успели на стыковку на Мальту! Других рейсов на Мальту нет, а сегодня запланировано там промо-интервью! Теперь, чтобы добраться до Мальты, мы должны полететь еще в Дюссельдорф, чтобы там пересесть через 2,5 часа ожидания на самолет до Мальты!! Итого на Мальте мы в поздно вечером! И все интервью и съемки переносим на ночь и на 6 утра! Тк в 9 утра у нас самолет в Грецию!! ", написал в своем инстаграме исполнитель. Известно, что на Мальте состоялась встреча с представительницей этой страны Ирой Лоско, с которой Сергей уже познакомился неделю назад на московской вечеринке Евровидения, а также несколько интервью местным СМИ, из которых на данный момент опубликовано только интервью фан-сайту ESCXtra. Из-за смены графика прилета, была отменена фан-встреча Иры и Сергея с фанатами в саду Upper Barrakka Gardens в Валлетте, но некоторые из преданных фанатов исполнителей поприветствовали их в аэропорту сразу после прилета представителя России. Поселившись в отеле Grand Hotel Excelsior певец сообщил своим поклонникам в видеопослании о том, что в дороге также оказался утерян его багаж. Уже утром исполнитель отбыл в Грецию. В Греции певец дал ряд интервью, включая газете Protothema и вебсайтом Tralala, поработал в студии с композитором его песни Димитрисом Контопулосом, отрепетировал свое выступление на music & fashion show MadWalk и отбыл на сутки в Сербию. В Сербии у исполнителя запланированы встреча с представительницей этой страны Саньей Вучич, эфир на государственном канале РТС, а также на коммерческом канале ПРВА. После этого Сергей вернется в Афины. В рамках промо-тура 18го апреля представитель России Сергей Лазарев побывает в столице Греции Афинах. Среди различных мероприятий, запланированных во время пребывания в Греции, он примет участие в вечеринке, которую организует ЛГБТ журнал Antivirus Magazine и сайт Oikotimes. Место проведения: 18:30, штаб-квартира журнала Antivirus. На вечеринке также выступит победительница Евровидения 2005 Елена Папаризу. Желающие посетить данное мероприятие могут заказать бесплатный пригласительный по ссылке. Также, в этот же день певец выступит на music & fashion show телеканала MAD TV MadWalk 2016. Ведущая шоу: Деспина Ванди. Место проведения: 21:00, Apothekes Bitrou. Билеты на него можно приобрести здесь. Песня России на конкурсе Евровидение 2016 "You Are The Only One" сегодня впервые была представлена в телевизинном эфире - Сергей Лазарев исполнил ее в рамках шоу "Танцы со звездами" на телеканале Россия. Вчера в Курске на своем сольном концерте, Сергей впервые представил вживую конкурсную песню для Евровидения 2016 You are the only one. Долгожданная премьера клипа на песню Сергея Лазарева You are the only one ("Ты — единственная"), с которой он в мае представит Россию на "Евровидении-2016" прошла сегодня на телеканале Россия 1. Напомним, что исполнителя выбрал редакционный совет телеканала "Россия 1", который и будет транслировать конкурс. "Я в эту песню влюблен всей душой! Она заставила меня в этом году все-таки дать согласие на участие в "Евровидении". Это о многом говорит. Я 8 лет обходил стороной этот конкурс, несмотря на то что меня очень много уговаривали. Этот год у меня расписан, идет гастрольный тур. И как раз с 1-го по 15 мая я себе оставил выходные. Думал, уеду после длительного тура в отпуск, отдохну. Это я планировал 8 месяцев назад. Но потом раздался звонок Филиппа Киркорова, который сказал: твоя кандидатура в этом году рассматривается каналом "Россия 1" и редакционным советом ВГТРК как одна из главных на поездку на "Евровидение". Я ответил: Филипп, ты же понимаешь, что нужна песня. Он ответил, что песня есть. Я послушал песню и не сказал "нет", решил, что мне надо подумать. Всю дорогу, что я ехал из студии, она крутилась у меня в голове. А почему бы и нет, подумал я и в итоге дал согласие. Эта песня для меня — финальный шаг вперед по отношению к конкурсу. В ней есть какой-то магнетизм и очень мощная сила, которая не отпускает с самого начала и до конца. Это хороший знак, ведь ты должен всего за три минуты донести эту песню! За эти три минуты ты должен сделать все: и показать номер, и спеть, и люди должны тебя понять, увидеть, услышать и оценить. Это достаточно сложная задача, но мы, я уверен, справимся с этим", — отметил Сергей Лазарев. "Я очень надеюсь на объективность, на то, что артист такого уровня, как Сергей Лазарев, в очередной раз докажет, что в России очень много талантливых артистов молодого поколения и они конкурентоспособны. На уровне такого европейского форума эти артисты достойно могут представлять не только свою страну, но и музыку в целом", — считает продюсер российской команды на "Евровидении-2016" Филипп Киркоров. По мнению Сергея Лазарева, не стоит проводить параллели между клипом и будущей постановкой на сцене — это будут два разных шоу на одну песню. Сергей Лазарев опубликовал тизер к предстоящему видеоклипу. В тизере можно увидеть Miss Universe Russia 2015 Владиславу Евтушенко и слово "One". Напомним, премьера песни и клипа Сергея Лазарева пройдет 5го марта в программе "Вести в субботу" с Сергеем Брилевым, которая выходит в эфир в 20.00-21.00 в Московском дубле канала Россия 1. Уже скоро мы узнаем был ли Сергей Лазарев тем самым единственным лирическим героем песни Ивана Микулича, а также какие ключи в клипе на песню Lazarus оставил Дэвид Боуи, а на вопрос, повторит ли Сергей успех Елены Папаризу и станет ли он тем самым The Only One, кто победит на конкурсе Евровидение мы получим ответ вечером 14го мая. Певец Сергей Лазарев представил свою полностью шведскую сценическую команду для Евровидения 2016. В нее вошли: бэк-вокалистка Йенни Янс (Азербайджан 2013-2014), танцор и бэк-вокалист Альваро Эстрелла (Швеция 2011, Азербайджан 2013), бэк-вокалист Йохан Сейл, а также танцоры Даниель Гилл (Швеция 2011) и Адам Свенссон. Их поддержит греческий хореограф Маркус Якумоглу. Вне сцены исполнителя поддерживают авторы песни Димитрис Контопулос и Филипп Киркоров, режиссер Фокас Евангелинос, педагог по вокалу Алекс Панайи, продюсер Илиас Кокотос - т.н 'Dream Team' Филиппа Киркорова, а также команда России 1 во главе с Геннадием Гохштейном и собственная команда Сергея Лазарева во главе с директором Михаилом Дворецким. Напомним, что презентация песни и клипа исполнителя пройдут 5го марта на телеканале Россия в программе "Вести в субботу",которая выходит в эфир в 20:00-21:00 Москвы. Презентация видеоклипа Сергея Лазарева на конкурсную песню Евровидения была отложена до 5го марта. Вероятно, она пройдет в программе "Вести в субботу". При этом, все еще возможно, что аудиоверсия песни будет представлена, как это было запланировано ранее, 3го марта. Мы постараемся держать вас в курсе последних изменений. Сергей Лазарев представит свою конкурсную песню 3го марта. Ожидается, что песня будет презентована в вечернем выпуске новостей вместе с официальным клипом на нее. Интересно, что в этот день, также как и в день когда было официально подтверждено участие исполнителя, Лазарев будет находиться в концертном туре, ему предстоит выступление в Челябинске. Греческий композитор Димитрис Контопулос, чья песня сейчас рассматривается в качестве основной кандидатуры для представителя России Сергея Лазарева, дал интервью Испанскому фан-клубу ОГАЕ Испании. "Участие в Евровидении или национальном отборе - всегда захватывающий и уникальный опыт. Переживаемые ощущения всегда очень эмоциональны. Я получаю удовольствие от каждого момента: записи песни, репетиций, самого выступления. Каждая песня, написанная мною для Евровидения, является уникальной, и было бы несправедливо выделять какую-либо из них", рассказывает композитор. Напомним, что на счету Димитриса работа с песнями Дмитрия Колдуна (2007), Ани Лорак (2008), Сакиса Руваса (2009), Фарида Мамедова (2013), сестер Толмачевых (2014), аранжировки песен группы Litesound (2012) и Михаила Смирнова (Детское Евровидение 2015), а также ряд песен национальных отборов - от Анастасии Стоцкой (2005) до Анны Висси (2006) и Костаса Мартакиса (2008). "Самой сложной для нас была работа над песней Shine для Евровидения 2014. У нас физически было только 48 часов на полную запись песни, инструментала, миксинг, полный продакшн. При этом нужно было принимать во внимание, что исполнительницы не были знакомы с песней, и не были привычны к пению на иностранном языке. 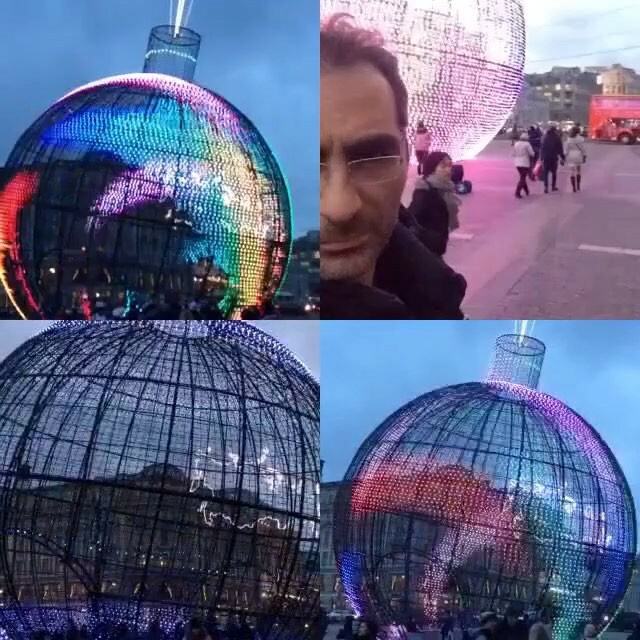 Можно только похвалить их за то, что они по настоящему хорошие исполнительницы". В настоящее время Контопулос находится в Москве, где проходит подготовка потенциальной песни Сергея Лазарева. Это не первая работа Контопулоса с Сергеем, в 2014 году греческая команда готовила для Лазарева песню "Breaking Away". "У Сергея Лазарева есть то, что присутствует очень у малого количества исполнителей: он потрясающий певец, и одновременно с этим способен на очень сильное живое сценическое выступление. Потому, песню мы делаем с расчетом на использование обоих этих его качеств. Я давно мечтал поработать с ним над проектом Евровидения. Он очень трудолюбивый артист, сильный певец, и я очень рад тому, что наконец он дал согласие принять участие в конкурсе Евровидение". Планирует ли композитор на этот раз побороться за первое место на конкурсе? "Я принимал участие в Евровидении 5 раз, дважды занимал 2е место, также был 6м и 7м. Но мои ощущения всегда были сравнимы с чувством победы. Для меня победа на конкурсе - это не только первое место. Победа - это новый опыт, встреча с новыми людьми, творческая часть, запись песни, репетиции. Для меня победа - это само участие в Евровидении, а не занятое место". Мы с интересом продолжаем наблюдать за официальной информацией, поступающей от организаторов Российского национального отбора на конкурс Евровидение. Так, в сегодняшней публикации официальной правительственной "Российской газеты" версия о выборе песни вновь качнулась в обратную строну: "Решение о том, что в главном песенном конкурсе Европы нашу страну будет представлять именно Сергей Лазарев принято окончательно. Но песня, с которой Сергей Лазарев отправится в Швецию, еще не определена". "В 2014 году мы тоже сами выбирали участников конкурса - сестер Толмачевых. И тогда они выступили в Копенгагене вполне достойно. Вот и теперь решили выбрать российского конкурсанта сами. Решили, что в Стокгольм поедет Сергей Лазарев, а его продюсером станет Филипп Киркоров, уже много лет успешно работающий на "Евровидении" и многое о нем знающий. А сейчас уже начали выбирать хит для конкурса. Информация о том, что Лазарев исполнит в Стокгольме именно песню Филиппа Киркорова, распространенная во многих СМИ, неверная. Нет, мы пока еще только рассматриваем все треки, которые нам предлагают разные композиторы, в том числе и греческие", - рассказали в российском оргкомитете "Евровидения-2016"
"Объявили имя участника "Евровидения" мы раньше других стран намеренно. Прежде делали это, как правило, в самый последний момент… А теперь оставили побольше времени на подготовку. И пока точно можно сказать только то, что песня для "Евровидения" будет на английском языке, поскольку именно он - самый интернациональный, его понимают в большинстве стран Европы...", - добавили в оргкомитете. В публикации также сообщается о том, что Сергея Лазарева пригласили выступить на промо-вечеринках Евровидения других стран, в частности в Риге, однако скорее всего промо-тур для российского участника Евровидения проводиться не будет - график Сергея уже включает в себя постоянно расширяемый список сольных концертов в городах России. И всё-таки, Сергей Лазарев исполнит на Евровидении-2016 песню Филиппа Киркорова и Димитриса Контопулоса. После многочисленных обсуждений, сопровождавшихся противоречивой информацией в СМИ, сегодня вечером редакционный совет ВГТРК смог определиться с песней, которую Сергей Лазарев представит на Евровидении 2016. Напомним, что утром главный продюсер развлекательного вещания телеканала "Россия" Геннадий Гохштейн отметил, что телеканал рассмотрит несколько вариантов потенциальных конкурсных композиций. "Действительно, мы выбирали из множества песен. В результате остановили свой выбор все-таки на песне Филиппа Киркорова", - сообщил продюсер телеканала "Россия" агентству ТАСС. При этом дополнительная информация о конкурсной песне пока не сообщается. Ожидается, что сама песня будет представлена еще до Нового года или сразу после него. В интервью программе Вести Сергей Лазарев не стал раскрывать подробностей своего предстоящего номера, однако отметил: "В подготовке номера будет участвовать очень большая команда - это и Филипп Киркоров со своими греческими друзьями и композиторами - авторами песни, и безусловно телеканал Россия". В "Команду мечты" Филиппа Киркорова входят греческий композитор и аранжировщик Димитрис Контопулос, режиссер-постановщик и хореограф Фокас Евангелинос, педагог по вокалу Алекс Панайи, а также продюсер Илиас Кокотос неоднократно работавшие над песнями для Евровидения Греции, Кипра, России (Сестры Толмачевы), Беларуси (Дмитрий Колдун), Украины (Ани Лорак), Азербайджана (Фарид Мамедов) и других стран. Все они внесут свой вклад в подготовку Сергея Лазарева к выступлению в Стокгольме. "Мы будем помогать ему в том, чтобы он был представлен хорошо, чтобы песня была хорошая, и аранжировка, и номер, и все вокруг", — заявил Киркоров. Над текстом песни, для которой пока еще не выбрано название, поработает команда авторов из Швеции (скорее всего те же Джон Баллард и Ральф Чарли, которые работали над текстами "Shine" Толмачевых и "Hold Me" Мамедова), Греции и России. "Финальная версия прорабатывается. Перед нами сложная задача: финальный вариант не должен быть более 3 минут. Важно, что для России будет русскоязычная версия песни. Хотя Россия и не имеет права голосовать за российскую песню и российского исполнителя, песня на русском языке просто необходима. И эта песня обязательно прозвучит на русском языке в большом туре по России, который Сергей Лазарев планирует в апреле и мае 2016 года", рассказал Вестям Филипп Киркоров. В интервью STARперцам Филипп Киркоров затруднился ответить на вопрос, будет ли песня Сергея Лазарева быстрой или медленной. "Она в стиле Сергея Лазарева. Она пока еще в работе, до финального результата еще достаточно долгий процесс, потому что надо еще музыку придумать, клип снять...", отметил Киркоров. Решение отправить Сергея Лазарева на Евровидение было принято редакционным советом ВГТРК. "Мы рассматривали несколько аспектов и считаем, что Сергею можно доверить эту миссию. Он прекрасный, популярный вокалист", - заявил главный продюсер развлекательного вещания телеканала "Россия" Геннадий Гохштейн. "Песня сейчас выбирается, есть несколько вариантов. Один из них - действительно песня Филиппа Киркорова. В итоге песня должна соответствовать всем требованиям конкурса и при этом - подходить певцу. Есть много хороших вариантов, но они должны монтироваться с артистом", - пояснил Гохштейн, опровергнув появившиеся в прессе слухи о том, что конкурсная песня была уже утверждена. По словам продюсера телеканала "Россия", приводимым агентством ТАСС, как только песня будет выбрана официально, ее представят широкой публике - Лазарев исполнит ее на одном из концертов, будет снят видеоклип. Согласно ранее опубликованной в газете МК статье обозревателя Артура Гаспаряна, за право написать песню для Лазарева борются несколько команд, в том числе греческая команда Киркорова, а также российские и шведские группы авторов. "Песни пока нет. Но ее вроде активно пишут. Объявлен некий секретный тендер, в котором якобы наперегонки несутся в сочинительском угаре как минимум Владимир Матецкий с Филиппом Киркоровым, а как максимум еще и Максим Фадеев с Константином Меладзе"
Свою версию событий, в интервью super.ru высказал и Филипп Киркоров. "Сразу хочу подчеркнуть, я не продюсер Сергея Лазарева, я его друг. В данной ситуации я выступаю как человек, который имеет большой опыт на конкурсе. И с удовольствием готов его передать, что и делал последние десять лет точно: участвовал в подготовке многих артистов к конкурсу. Сейчас я принял это решение благодаря приглашению ВГТРК и лично главного продюсера развлекательного вещания — Геннадия Борисовича Гохштейна, который свел в этом проекте нас с Сережей. Я знаю Сергея Лазарева уже 15 лет, мне не безразлична его творческая судьба. Он самодостаточная единица, артист с большой буквы. Сережу давно уговаривали на этот конкурс, но он честно "отнекивался". Все это происходило, пока он не услышал песню, которую ему предложили исполнить в этом году. Может быть, поэтому сегодня так радуемся за него и желаем ему сил и творческого вдохновения, чтобы он покорил серьезную высоту под названием "Евровидение-2016" в Стокгольме". "Лазарев, на мой взгляд, сегодня — единственный достойный артист, который может представить на высоком уровне нашу страну. Моя команда единомышленников из дружественной и любимой нами Греции и компания ВГТРК верят в этого артиста. Сейчас ему непросто, на нем большая ответственность, и то, как на него сейчас смотрит вся страна, серьезное испытание. Но он сильный, прошел огонь, и воду, и медные трубы и никогда не болел звездной болезнью, поэтому я уверен в нем на сто процентов, как в себе. Он трудяга, и в этом мы с ним чем-то схожи по отношению к музыке, жизни и профессии. Я уверен, что он не подведет нашу страну, своих поклонников и людей, которые в него верят"
"Про саму композицию я пока ничего рассказывать не буду, все находится в процессе и только начинается. Могу только пообещать, что мы приложим все усилия, чтобы сделать очень качественную работу на европейском уровне. Думаю, что уже к Новому году трек будет закончен, а после уже пойдет работа над номером. В апреле я планирую отправиться в тур, но, поскольку мы к этому проекту готовились заранее, мы освободили май, чтобы первые две недели полностью посвятить конкурсу и отправиться в двухнедельную командировку в Стокгольм. Там мне придется превратиться из действующего артиста в менеджера и участника команды, которая будет поддерживать Сережу на "Евровидении". Super.ru приводит и текстовый комментарий самого Лазарева: "Я полностью распланировал год концертами и мыслей о "Евровидении" не было, как и в прошлые годы, когда меня активно уговаривали ехать на конкурс. Конечно, один из первых, кто всегда был за то, чтобы я поехал — это Филипп. Но я всегда отказывался от участия. В этом году, когда мне стало известно, что канал Россия рассматривает меня как основного претендента на участие, Филипп мне сказал: "Ну, давай же в этом году. Ты уже добился высот в этой стране и тебя должны увидеть за рубежом!". Я на это ответил, что главное — песня, и она должна быть 100%-ная, чтобы я в нее влюбился, поверил. Филипп сказал, что он с греческой командой, с которой я уже записывал несколько песен, приготовили композицию. И уговорил послушать. Когда я ее услышал, я понял, что это та песня, с которой я готов ехать. Я не стал давать сразу ответ и сказал, что подумаю. По дороге домой песня крутилась у меня в голове, так же как и мысли, что и год удачный, и команда хорошая, и самое главное — песня. Я решил довериться и принять участие. Я прекрасно понимаю всю ответственность и с большой гордостью и честью буду представлять нашу страну. Для меня сейчас первостепенно — достойно представить нашу страну, чтобы Россией гордились. Пока до конкурса еще полгода, мы дорабатываем песню. Финальный вариант мы представим в будущем году. В начале года я преступлю к репетициям, а сейчас мы обговариваем детали режиссуры. Песня дает очень мощный посыл и заряд, мы сделаем все возможное, чтобы на сцене она максимально зазвучала. Работа будет колоссальная". Сегодня с 21.00 на телеканале Россия 1 в эфир выйдет телеверсия Первой Российской Национальной Музыкальной Премии, где Сергей Лазарев получил приз как "Исполнитель года", при этом Филипп Киркоров в последний момент снял свою кандидатуру с данной номинации. На этом же шоу, в отсутствие самого исполнителя, дававшего в это время концерт в Ижевске, было сделано и официальное объявление, касающееся конкурса Евровидение. Напомним, что ESCKAZ вчера первым сообщил информацию о данном решении поклонникам конкурса. В настоящее время Сергей Лазарев продолжает турне по России, которое охватит еще как минимум 16 городов: Пермь, Рязань, Красноярск, Новосибирск, Барнаул, Екатеринбург, Челябинск, Воронеж, Новый Уренгой, Ханты-Мансийск, Сургут, Нижневартовск, Брянск, Ковров, Владимир и завершится 23 апреля 2016 в Туле. В декабре-феврале он также выступит на театральной сцене Москвы в спектаклях "Женитьба Фигаро" и "Таланты и покойники". Также Лазарев будет принимать участие в ряде сборных концертов в Москве и Санкт-Петербурге. На сегодняшний день единственной международной датой в календаре исполнителя является сольный концерт в Таллинне 10 апреля. Сергей Лазарев представит Россию на конкурсе Евровидение 2016, о чем было официально объявлено сегодня вечером во время церемонии Первой Национальной Музыкальной Премии в московском Крокус Сити Холле. Сергей стал обладателем премии "Исполнитель года". Несмотря на то, что певец не смог посетить церемонию, поскольку одновременно с ней давал концерт в Ижевске, он записал видеообращение. Сама же церемония выйдет в эфир завтра вечером, в 21.00 местного времени, на телеканале Россия 1. Это - самая ранняя дата объявления представителя России на Евровидении, намного побившая прошлый рекорд - 19 февраля (2013), всего же до этого года только дважды представитель становился известен до марта. Кандидатура исполнителя была утверждена редакционным советом ВГТРК. Следует отметить, что несмотря на различные заявления в прессе о том, что на конкурс певец отправится с песней Филиппа Киркорова и Димитриса Контопулоса - на данный момент конкурсная композиция еще окончательно не утверждена и продолжают рассматриваться несколько возможных вариантов. 16 ноября в отеле Four Seasons Moscow прошла презентация нового клипа Филиппа Киркорова на песню "Индиго" с Викторией Лопыревой в главной роли. Тусовку по этому поводу посетил практически весь светский бомонд столицы России. Во время представления собравшимся своего друга греческого Димитриса Контопулоса (который регулярно работает с Киркоровым над проектами, связанными с Евровидением и другими музыкальными идеями) Филипп Киркоров заявил следующее: "Я рад поприветствовать со мной рядом сегодня своего друга и коллегу Димитриса Контопулоса. Димитрис - прекрасный композитор и музыкант, который принимал участие в работе над многими песнями Евровидения. Также, я могу раскрыть небольшой секрет: с ним мы будем готовить нового участника Евровидения, и эта работа уже началась". На вопрос Ивана Урганта, который вел эту вечеринку, находится ли этот исполнитель в зале, Филипп Киркоров ответил утвердительно. Ни один из гостей в своем участии в конкурсе также не признался. Поздравить артиста с этим событием пришли Григорий Лепс, Эмин, Иосиф и Нелли Кобзон, Полина Гагарина, Сергей Лазарев, Анжелика Агурбаш, Любовь Успенская, Алсу, Олег Газманов с женой, Митя Фомин, Александр Буйнов, Денис Клявер, Дмитрий и Инна Маликовы, Юля Савичева, Иосиф Пригожин и Валерия, Лев Лещенко, Аркадий Укупник, Слава, Ольга Серябкина, Борис Моисеев, отец Филиппа Бедрос Киркоров и многие-многие другие. После презентации Димитрис Контопулос задержался в Москве, и как стало известно, помимо посещения различных мероприятий, в т.ч концерта Сергея Лазарева, он принял участие в записи некоего трека в "Vi-studio", где проходила и запись конкурсной песни Сестер Толмачевых. Также к команде в Москве присоединились педагог по вокалу Алекс Панайи и продюсер Илиас Кокотос. Летом вебсайт Super.ru сообщал о том, что Филипп Киркоров предложил свою помощь в подготовке к Евровидению певице Нюше. "Мы действительно обсуждали с Филиппом возможность моего участия. Он предложил свою помощь, имея большой опыт в этом, он может дать много дельных советов. Но если честно, для этого должны сложиться звезды. В моей жизни было много конкурсов и я, пережив их все, очень рада, что занимаюсь любимым делом, и надеялась, что конкурсов в моей жизни больше не возникнет. Есть артисты, амбиции которых опережают их. Я же счастлива той атмосфере, в которой нахожусь. Не уверена, что хочу соревноваться опять. Для "Евровидения" нужны особая песня и номер. Такие вещи, как правило, невозможно просчитать. Одно дело, если бы я написала песню и поняла, что с ней я хочу поехать. Но если все это будет выглядеть так, что нужно будет специально сесть и сочинить или спеть чужую песню, — это у меня вызывает сильные сомнения...", прокомментировала певица. Возможно, следует отметить, что на презентации клипа Киркорова она не присутствовала. Напомним, что в прошлом году Филипп Киркоров и Димитрис Контопулос предлагали совместный проект для участия в Евровидении Полине Гагариной, но в итоге Первый Канал остановил выбор на заявке от шведских авторов. Два года назад, той же командой, известной как "Dream Team" велась подготовка к конкурсу Сергея Лазарева, но в последний момент его кандидатура была заменена на сестер Толмачевых, с которыми также продолжил работать творческий тандем Киркорова-Контопулоса. В декабре 2014 года Лазарев выпустил песню "Breaking Away", написанную Контопулосом. Осенью 2016 года греческо-российская команда помогла представителю России на Детском Евровидении Михаилу Смирнову, Контопулос сделал новую аранжировку на песню "Мечта", а греческий постановщий Фокас Еваггелинос помог со сценическим номером. После двух лет сотрудничества с ВГТРК над конкурсами Евровидение, будет неудивительным, если Филипп Киркоров будет в очередной раз задействован в подготовке к Евровидению. Скорее всего сейчас его команда работает над одним или несколькими проектами, которые могут в последствии быть предложены российскому вещателю, и одновременно делаются попытки разогреть интерес к ним путем вброса порционной информации в СМИ и группы поклонников конкурса. Новую теорию в своей публикации от 26 ноября высказал обозреватель МК Артур Гаспарян. По его мнению, Сергей Лазарев мог быть уже, как Полина Гагарина, выбран внутренним отбором вещателя, но при этом за право написать для него песню борются несколько команд, в том числе греческая команда Киркорова, а также российские и шведские группы авторов. "Персоны и деятели, вхожие в Кабинеты, в один голос утверждают, что решение о Лазареве "уже принято", но это "секретная информация", которая неизвестно когда будет обнародована. Песни пока нет. Но ее вроде активно пишут. Объявлен некий секретный тендер, в котором якобы наперегонки несутся в сочинительском угаре как минимум Владимир Матецкий с Филиппом Киркоровым, а как максимум еще и Максим Фадеев с Константином Меладзе"